Roden Boeing 720B has arrived! Roden has updated their Boeing 720 kit with PW JT3D-1 turbofan engines to accurately model a Boeing 720B. The first release, ROD319, has been released with Pan American markings. 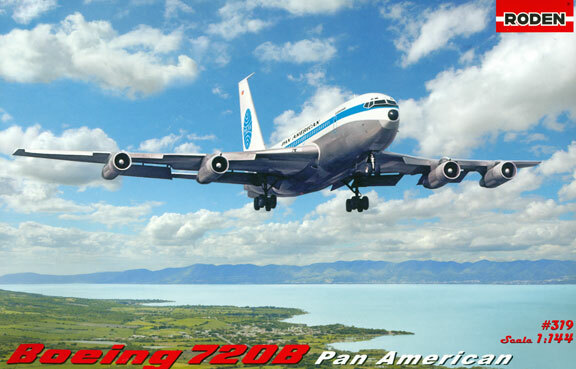 This entry was posted in New Kits and tagged 720B, Boeing, Pan American, Roden. Bookmark the permalink.